Power is 435HP/441PS and torque is 400lbft/542Nm for the US market. In Europe it has 310kw/421PS and 530 Nm. But I had never seen (at least not that I remember) both media and ford use that name next to "Mustang GT 5.0 etc". It's redundant anyway - if the model name doesn't say "cabriolet" then there is only one other body type and its the coupe (or "fastback coupe" for those who prefer a more specific description). And very much enjoys it! Look at the other generation of cars, 911 gained 100lbs and 15hp, C7 300lbs and 25hp, M3 10hp 185lbs, I know they all gained much more then hp n weight, technology n what not with better everything, and withought increasing there price by a couple k,this shouldn't be any different. An Ford says that it's faster then a Boss 302 LA round a track, or that's what they are aiming for. @BR2+ yeah, I'm a bit dissapointed with the Curb weight of the new Mustang... That said, the Camaro 1LE, and Z/28 both weigh 3800lbs+ and we all know how well they can handle a track. I hope Ford makes the best of the new IRS! Of course it isn't. It's gained some 200lbs and only 15hp. It's now nearly as heavy as the GT500, with its larger everything, reinforced parts and huge supercharger. Plus, the live rear axle helped straight line performance, which was its only advantage. So it's not surprising it's no faster than the last one. It probably won't be any faster on the track, either, but reviewers will surely talk about it feeling much better than former Mustangs. You're welcome, oh nvm I got too much negative feedback for pointing out a mistake. Good job! Well...The new Mustangs performance has been tested...Its no faster then the last gen......but.. 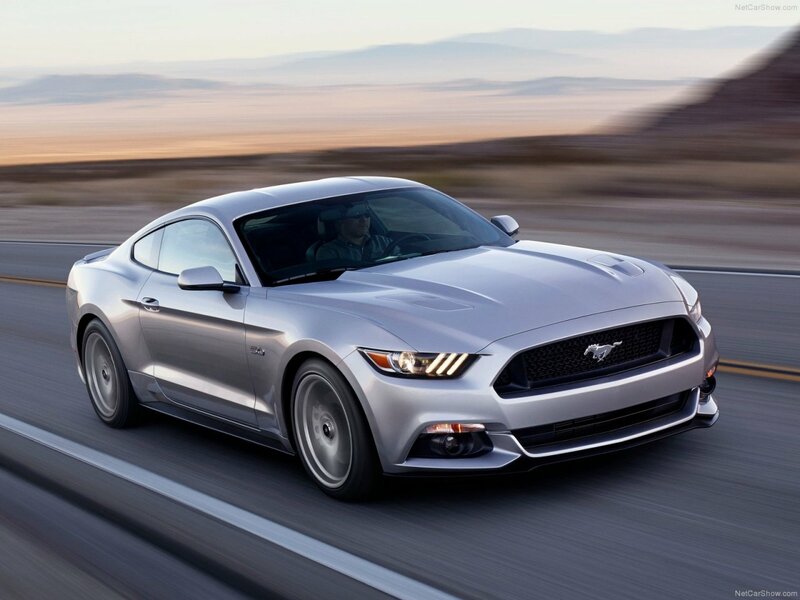 So the 2015 Mustang V6 starts at $23,600, And Fully Built at $28,090, The EcoBosst starts at $25,170 and Fully Built at $39,750, While the top of the range GT 5.0 starts at $32,100, And Fully Built at $46,075 for the USA. I wouldn't mind seeing a Mustang with a big Eaton twin screw supercharger bolted to the top of its engine. I didn't like the weight it added and the fuel consumption though. Unfortunately, a roots blower adds weight in one of the least desirable places... in the front and at a high location. Roots blowers also lend themselves more easily to heat soak, which isn't fun no matter where you're driving the car. Im not overly fond of that SuperCharger whine, Its rather abusive upon my eardrums, But it really depends on the car. And i would love to see a Shelby Mustang GT200, The GT500 version of the V6 cars, And a GT180, A Shelby version of the SVO Mustang coming out, Same with the Boss series, a Mustang Boss 225(V6) and Mustang Boss 154(I4). Hell the 6Cylinder versions have been around as long as the V8s, I dont see any reason to not show as much attention, Specially since you see more V6 Mustangs then V8s, Well maybe not here but you do in the US, So id say they would sell quite well, Cant afford the V8? Get the V6. @ Flabernat: Me too, I like the whine of a supercharger. Its nice, A nice Ford 5.0 is always spectacular, But theres really nothing impressive about the Hp figure, And im not one to give to shites bout Hp/Per Litre, Nor do i. @BR2+: Still, 420 horsepower from 302 cubic inches. No Power numbers have been released, Nor weight, But i think it will be around 435Bhp and 400Lb Ft, While weighing over 3500lbs, They say its faster then a Boss 302 LS round track, Not sure bout GT500, Dunno bout acceleration though. I hope i am wrong too, Id like to see a new GT500 and Boss 302. But i think they pay too much attention to the V8 Mustangs, and None to the V6, Id like a Shelby version of the V6 Mustang, a GT200 if you would, Same with a Boss variation, a Boss 225 or something. Whoa, hold on there... Where did any of this information come from? To the best of my knowledge, Ford hasn't released official power or weight figures. There are still rumors that the 5.0 will exceed 440hp and that the weight will drop below 3500lbs (not convinced of the weight rumor, personally). Doubt the Boss will be back this generation, And doubt the GT500 model will be dropped any time soon, Ford will certainly not go for a nice 7.0L for today, Not with everybody opting for smaller displacements and all that bullshite. The TPOP is strong, So theres a chance, albeit small the Boss will be back, But there not gonna make a 429. 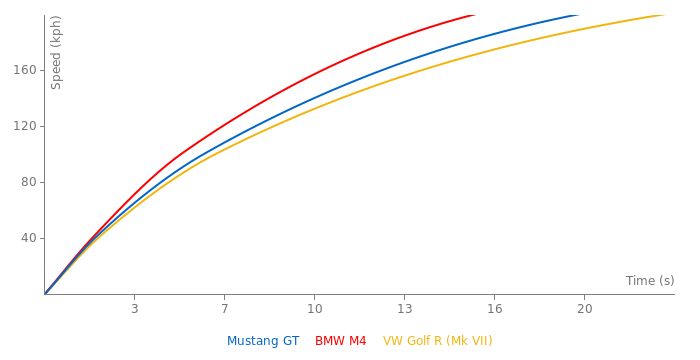 GT surely is not a top model because Boss 302 is planned to appear again with new power rating. However, Shelby GT500 name is reported will be drop and will be replaced with either Boss 429 or Mach 1.